Rep your favorite character from the hit game Overwatch! This Lucio Snap Back Hat features embroidery details of Lucio's Sound Barrier and Crossfade on the side. This black cap also features contrasting green eyelets and green under the brim. 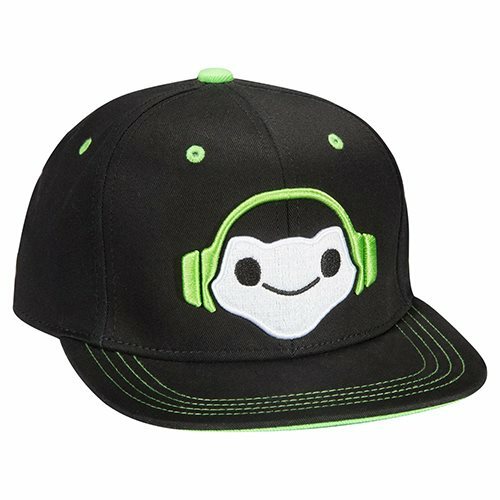 The Overwatch Lucio Snap Back Hat fits most sizes and is made from 100% cotton.